Messier 50 (M50, NGC 2323) is a magnitude 5.9 open cluster in Monoceros. 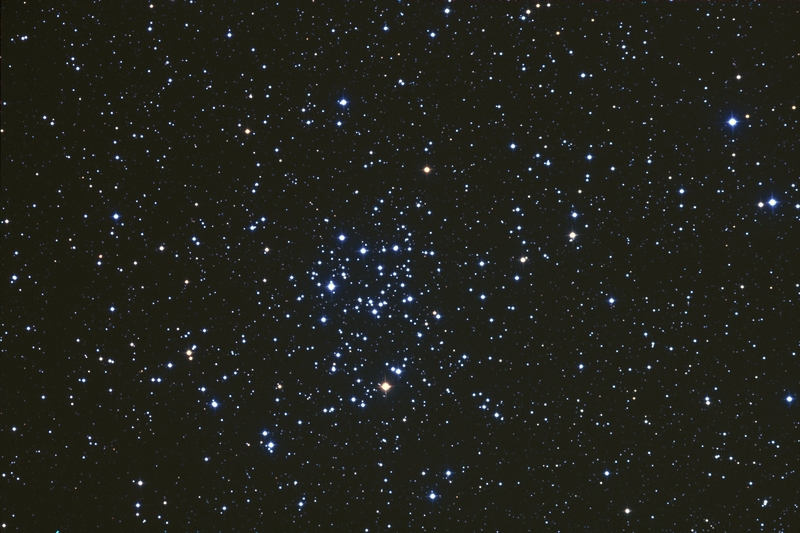 This open cluster lies in our own Milky Way about 3200 light years away. This is a "young" open star cluster and is only about 78 million years old. Most of the stars you see here are more massive than the sun and burning at very hot temperatures, which makes them blue-white in color. The apparent size of this cluster is 16 arc minutes.